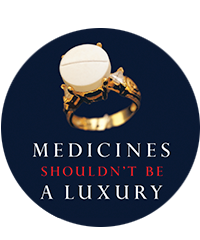 A letter to India's newly constituted IPR Think Tank, authored by MSF and signed by patient groups, public interest organisations, treatment providers and academia world-wide, raises critical issues around the intellectual property system in India. A particular area of concern is pharmaceuticals, as India is a key global supplier of affordable generic versions of drugs that otherwise would be out of reach for public health programmes, treatment providers and millions of people. In the present context of heightened US pressure on India's government, and in particular on India's Department of Industrial Policy and Promotion (DIPP), the letter signatories oppose any re-opening of the discussion on patentability criteria, interpretation of Indian patent law, or the introduction of TRIPS-plus standards, which would provide multinational pharmaceutical companies and the US Trade Representative an opportunity to take forward their agenda to undermine generic competition from India at the expense of public health safeguards in India’s patent law and its negotiating position in various bilateral and international forums. Any examination of IP issues by India's new IPR Think Tank must not further undermine access to medicines or India’s standing as the pharmacy of the developing world, on which millions of people around the world rely.